The SQL Server Community has enriched my career through leadership, tons of learning, speaking engagements and job opportunities. I rebooted the Omaha SQL Server User Group in 2007. I successfully ran the group for 7 years, building up a distribution list of 800+ members. I help run the Louisville SQL Server and Power BI user group since May 2016. 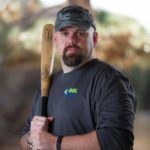 I answer SQL Server related questions on ask.sqlservercentral.com. I am in the top 15 of individuals who answer questions there. I blog here on my personal site. My blog is syndicated on SQL Server Central and on Denny Cherry & Associates. I also publish articles on C# Corner which gets thousands of views on a monthly basis. I tweet about SQL, DevOps, and best practices. I am a member of Speaking Mentors, which is a group of individuals around the world that volunteer their time to mentor new and upcoming speakers. I was a Regional Mentor for SQL PASS from 2014-2015 helping local SQL Server user groups get started. I also help established groups with continued growth. I help mentor individuals in their DBA career as well as upcoming speakers. Two of which have become Microsoft MVP’s. I produce videos to around Microsoft SQL Server content. In October 2017, I became a Microsoft Data Platform MVP. September 11, 2011 – Heartland Developer Conference – 10 Things Your DBA Wished You Knew! August 9, 2017 – Quad City SQL Server User Group (remote) – Only You Can Prevent Database Fires! July 20, 2017 – Evansville Technology Group – Database Continuous Delivery & Your Salvation! June 12, 2017 – Capital Area SQL Server User Group (remote) – Database Continuous Delivery & Your Salvation! February 21, 2017 – Indianapolis User Group – Only You Can Prevent Database Fires! October 20, 2015 – Indianapolis User Group – Database Continuous Delivery & Your Salvation! December 9, 2017 – SQL Saturday #693 – Washington, DC – Database Continuous Delivery & Your Salvation! March 11, 2017 – Chicago SQL Saturday – Database Continuous Delivery & Your Salvation! January 14, 2017 – Nashville SQL Saturday – Backups & Restores: You’re Not In Kansas Anymore! June 4, 2016 – SQL Saturday #491 – Pensacola, FL – Only You Can Prevent Database Fires! May 16, 2016 – SQL Saturday #521 – Atlanta, GA – Backups & Restores: You’re Not In Kansas Anymore! February 20, 2016 – SQL Saturday #478 – Albuquerque, NM – Database Continuous Delivery & Your Salvation! January 16, 2016 -SQL Saturday #480 – Nashville, TN – Social Media is Alive! January 16, 2016 – SQL Saturday #480 – Nashville, TN – Database Continuous Delivery & Your Salvation! December 5, 2015 – SQL Saturday $470 – Washington, DC – Only You Can Prevent Database Fires! October 3, 2015 – SQL Saturday #444 – Kansas City, MO – Database Continuous Delivery & Your Salvation! September 26, 2015 -SQL Saturday #431 – Spartanburg, SC – Database Continuous Delivery & Your Salvation! September 26, 2015 – SQL Saturday #431 – Spartanburg, SC – Social Media Is Alive! August 15, 2015 – SQL Saturday #397 – Omaha, NE – 10 Things Every DBA Should Know! August 15, 2015 -SQL Saturday #397 – Omaha, NE – Social Media Is Alive! May 16, 2015 – SQL Saturday #392 – Atlanta, GA – Only You Can Prevent Database Fires! March 21, 2015 – SQL Saturday #381 – Richmond, VA – Social Media is Alive! February 7, 2015 – SQL Saturday #358 – Albuquerque, NM – Social Media is Alive! June 7, 2014 – SQL Saturday #307 -Iowa City, IA – 10 Things Every DBA Should Know! March 29, 2014 – SQL Saturday #287 – Madison, WI – Social Networking Is Alive! September 28, 2013 – SQL Saturday #190 – Denver, CO – Social Networking Is Alive! September 14, 2013 – SQL Saturday #232 – Orlando, FL – 10 Things Every DBA Should Know! October 6, 2012 – SQL Saturday #165 – Lincoln, NE – Social Networking Is Alive! October 6, 2012 – SQL Saturday #165 – Lincoln, NE – Backups & Restores: You’re Not In Kansas Anymore! September 22, 2012 – SQL Saturday #169 – Denver, CO – 10 Things Every DBA Should Know! August 4, 2012 – SQL Saturday #159 – Kansas City, MO – Social Networking Is Alive! July 28, 2012 – SQL Saturday #144 – Sacramento, CA – Social Networking Is Alive!